The majority of people are using Facebook. There’s a simple explanation of the mechanics of Facebook when you sign up; but really, social media is all about sharing information. Content if you will. And there’s no “official” instructional manual for producing the content that is posted. One rule for content: You want to engage people and not drive people crazy. If you continue to post content that is annoying, you’ll drive people away, rather than attract. And if that’s your goal, do us all a favor and stop using facebook. I’ve always said, if you can’t get friends in “real” life, facebook won’t help you find or keep them. Posts contains the words “please repost”. If you have to threaten people to repost, it’s not worth reposting. And we all hate chainletters. Complaining all the time. 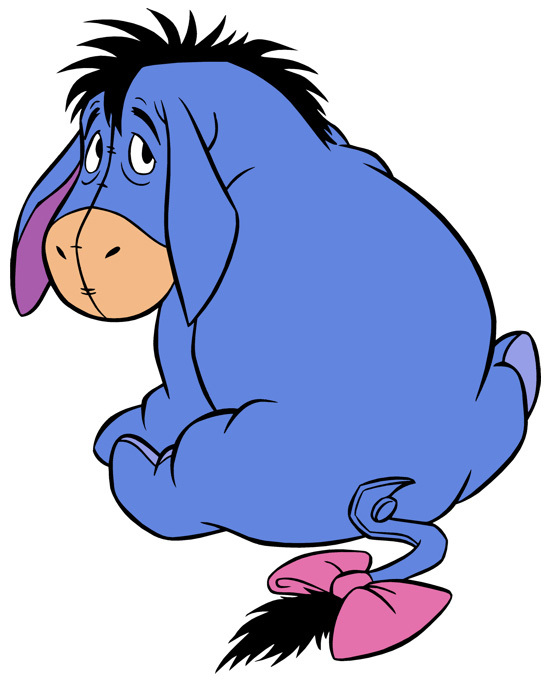 Ever been around someone who channels Eeyore? No one likes to always comfort and encourage someone who always finds the cloud in the sky. Not engaging. It drives us crazy when we reach out to you for friendship and you don’t reciprocate. That’s why there’s a HUGE “social” in front of “network”. If we comment on your post, have the decency to answer or post on our pages. Social Networking does work. You just have to actually be friendly. And then we’ll be friendly back. It’s really that easy. Leisa, I appreciate your (and Tim’s) posts!